Please refer to our stock # 10405 when inquiring. 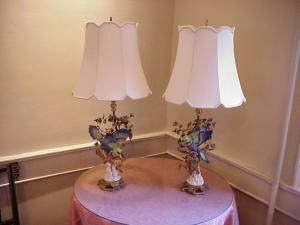 Sevre Lamps. Pair. signed. CA 1900. Ormolu base.